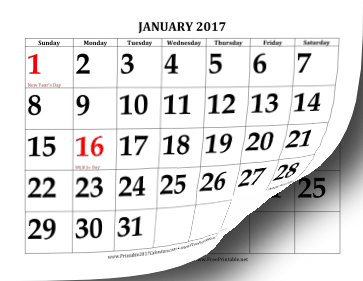 Great for people with vision problems, or who wish to see dates from across the room, this printable 2017 calendar features all text in large, bold fonts. Holidays are noted as well. Free to download and print.